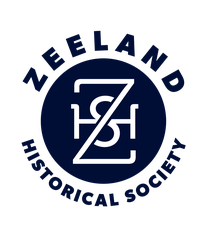 The Zeeland Historical Society will hold its annual historic home tour from 10 a.m. to 3 p.m. Saturday, June 12. Several homes and a pioneer school building will be featured. Tour participants can travel from home to home in vintage cars. Several of the homes are on Central Avenue located in the heart of Zeeland. Lunch will be available for purchase at the historic Baert Baron mansion on Church Street. Price for tickets is $15 in advance and $20 on day of tour. Tickets are available at the Zeeland Chamber of Commerce, Bunte’s Drug Store and the Zeeland DekkerHuis Museum, 37 E. Main St.
For more information, contact Nancy Curnick at (616) 772-5440.